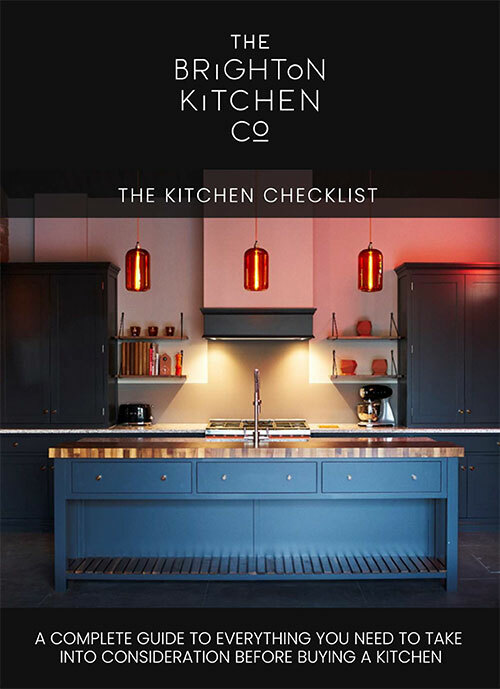 At The Brighton Kitchen Company we love to design, build and fit luxury kitchens with timeless appeal that are made to last. Our In Frame Kitchens are testimony to the finest English craftsmanship. 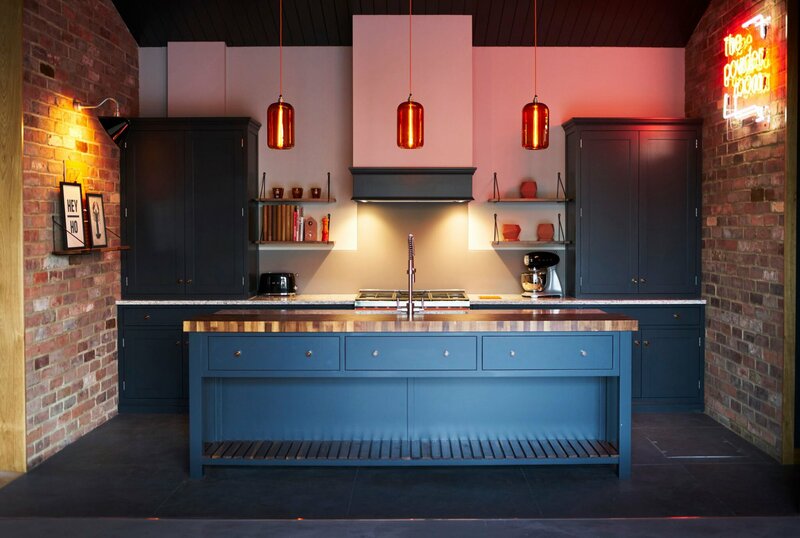 Hand crafted by our carefully selected local craftsman, our beautiful bespoke kitchens reflect a masterclass in materials and construction, and come in a range of stunning finishes. Every dovetail joint is carefully crafted. Every inch of cabinetry is made with passion, pride and with the finest materials. Our bespoke kitchens radiate excellence from every angle. Every time you open a door, or pull open a drawer, you will be reminded of the pure perfection we strive for in everything we do. The only way to achieve a perfect In Frame Kitchen is to go bespoke. The simplicity in this style of kitchen requires perfect proportions and symmetry in their build. 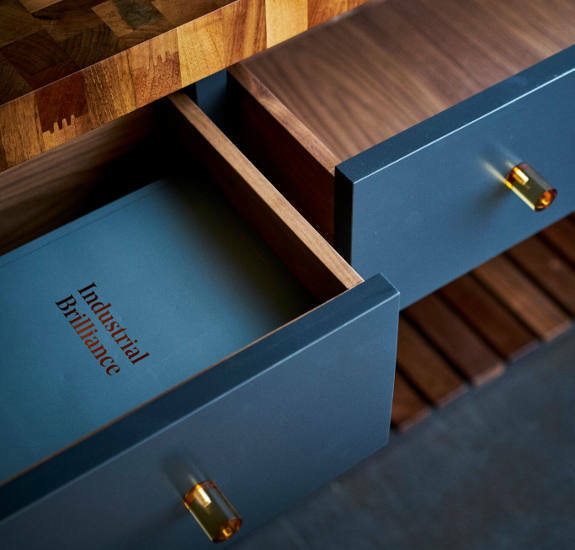 That’s why we collaborate with an exceptional local cabinet maker, so we can be absolutely sure our bespoke kitchens are crafted to perfection. We offer a unique approach to kitchen design. To us, functionality is just as important as form. That’s why our design consultations are so in-depth. During the design process we do everything we can to understand your lifestyle and your aesthetic preferences, to create a dream kitchen that delivers on substance and style, down to the smallest details. During our design consultation with you, we will take the time to understand everything you want from your kitchen and more. The fine details are just as important to us as the bigger picture. 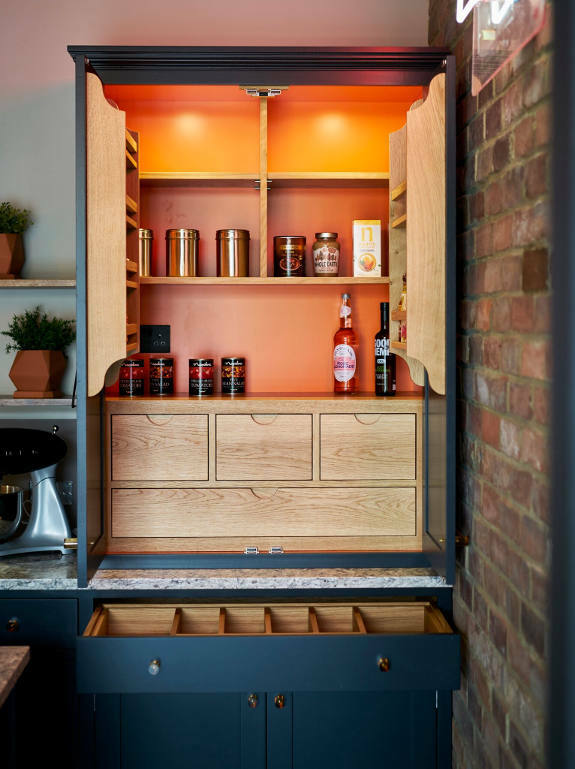 Exquisite and distinctive features, such as cabinet handles, and clever storage solutions to suit all of your kitchen belongings, will be incorporated to bring you an impressive bespoke kitchen beyond your wildest dreams. We don’t have a one-size fits all approach to design, and that goes for our finishing too. We’ll help you choose a paint finish to suit the personality and the character of your new kitchen and your home. It goes without saying that we always use high quality paint. Farrow and Ball is one of our client’s favourite colour ranges. Whether you choose to incorporate muted colours into your kitchen design for a classic French country farmhouse appeal, or strong and bold tones to create a focal point, we’ll make sure you get exactly the right colour to make your In Frame cabinetry the star of the show. When it comes to finishes, high-gloss brings a real contemporary style, giving traditional cabinetry a modern yet elegant feel. The contemporary nature of a gloss finish comes from its reflective qualities, which gives real emphasis to space and light. A gloss finish is the perfect choice for anyone wishing to put a modern spin on a traditional-style kitchen. In recent years the matt finish has become extremely popular in kitchen design and it’s not hard to see why. Our super matt finish is the ultimate statement in understated elegance. Matt finishes give a more solid appearance to kitchen cabinetry and work exceptionally well on our sturdy In Frame designs. Super matt finishes can also be bold and dramatic, depending on your choice of colour. If you want a kitchen with a smooth look and ultra-cool feel, then our Super matt finish is definitely for you. Are you looking for inspiration for your kitchen remodel or renovation project? Come and see our beautiful range of bespoke and modern kitchen designs at our showroom in Hickstead. Our brand new, cutting-edge showroom is here to inspire and excite you about the creative possibilities for kitchen design.